Stars do not last forever. They have finite lives and so they are born and they die. How are stars formed? First, we must start with the correct ingredients. Huge volumes of space with the correct collection of atoms and molecules at the correct density are called molecular clouds. One of the most famous molecular clouds is the nearby Orion Nebula. 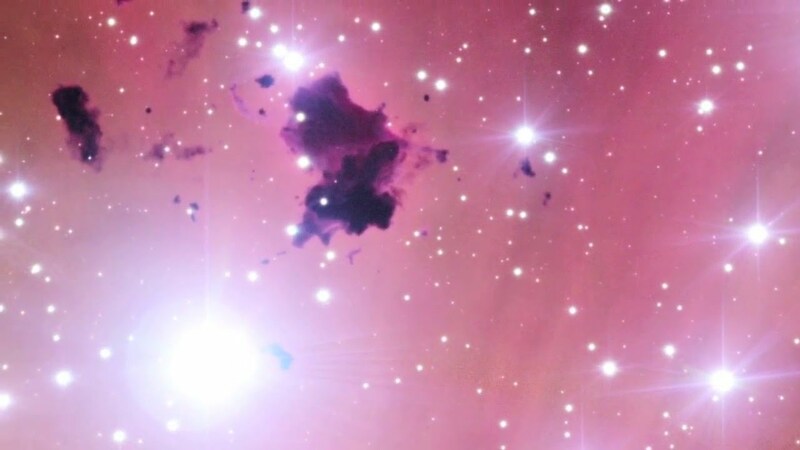 Let’s take a tour of this famous nebula. The life of a star is determined from the very beginning by the amount of mass used to make the star. 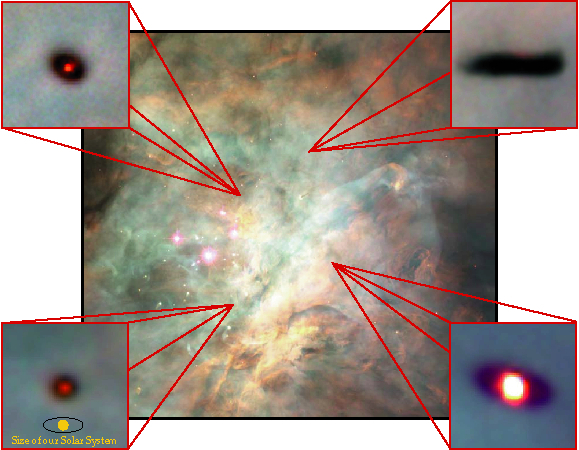 From Hubble Space Telescope images, we know that star formation is going on right now in the Orion Nebula. We see what have been called proplyds. The lowest possible mass for a star seems to be about 0.08 solar masses. Any mass smaller than that becomes what is called a brown dwarf. Whereas the most massive stars might have as much as 150 times the mass of the Sun. Looking for a particular star? Find it here! 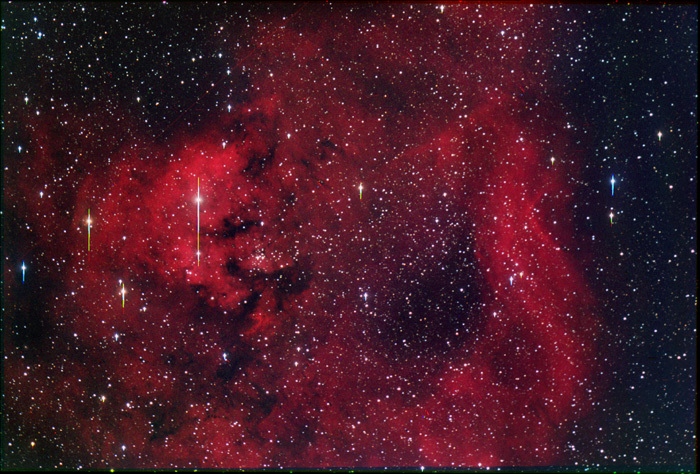 Hydrogen Cloud Also known as Molecular Clouds, These objects are sometimes seen as dark "holes" in a field of stars, but are more likely associated with the nice red glow of hydrogen alpha emission. Collapsing Cloud Fragment A huge interstellar cloud will collapse to form perhaps hundreds of individual stars. It is thought that a nearby supernova might create a shock wave which would initiate collapse. There may also be other mechanisms of star collapse. Fragmentation Ceases Each cloud fragment is now about the size of our solar system surrounded by a cocoon nebula and the core is heating up due to Helmholtz Contraction. Newborn Star Once the core reaches 10 million K, nuclear reactions begin and the star reaches the T Tauri stage. In the T Tauri stage, a star has an accretion disk which contains enough dust to obscure the central star. We can see this effect in such a star’s light curve. Z.A.M.S. Finally, a happy and contented Zero Age Main Sequence star, churning out energy by means of the proton-proton chain. The mass of the star will determine what kind of ZAMS star it will be. There is a minimum mass for a star.